Unsurprisingly, some of us at Let There Be Movies are pretty huge Trekkies. While Next Generation and its further iterations did a great job of expanding Gene Roddenberry’s universe, there is only one original series that started it all. 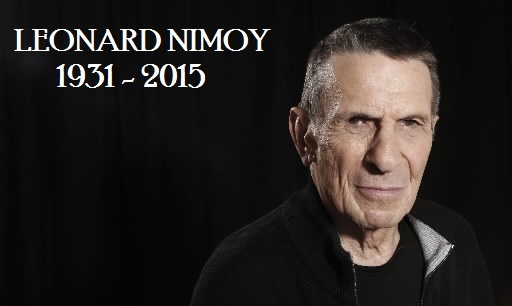 Which is why it was particularly saddening to hear about Leonard Nimoy’s passing last Friday. He was (and will always be) the definitive symbol of dispassionate logic, the half-human, half-Vulcan, First Officer Mr. Spock. In this post I, Logan, Tres, and Elliott would like to remember Nimoy with our favorite scenes of him as the iconic and unforgettable Mr. Spock. As we look through the best moments of Leonard Nimoy’s tenure as our favorite Vulcan, most people are going to point to the films. I want to look back to the show that made the films possible, to the first season of The Original Series. In the episode ‘Devil in the Dark,’ Spock does a mind meld with a creature they thought was dangerous to them. In comparison to today’s standards, the episode is extremely cheesy, but Nimoy’s performance as Spock was everything that we loved. Nimoy somehow managed to show us how a Vulcan (or half-Vulcan) who was supposed to suppress his emotions would react when coming across an emotionally disturbing case. His performance made me momentarily forget how cheesy the episode was, which in and of itself is a tremendous feat, and also happens to be what made Nimoy such a great actor. I grew up watching Star Trek re-runs in the early 70’s with my mother. The overacting and the crazy special affects were classic Sci-Fi and good family fun back then. I remember in elementary school having a Spock shirt and running around doing the famous “Live Long and Prosper” while giving the hand sign. Star Trek always brought about so many great childhood memories for me. Of course, imagine my surprise how things really looked when we got out first colored TV when I was in 5th grade! Talking about changing how the show looked!!! Some of my favorite memories as a child was getting to go to the Mechanicsburg drive-in and laying out under the stars watching movies. I saw the first three Star Trek motion pictures there and remember those moments still fondly today. Though the end of the Wrath of Khan is still the most impactful from my childhood, I knew Nate would be writing about it. Therefore, I chose my second favorite moment with Leonard Nimoy as Spock. I do like the new Star Trek movies and I am very impressed with the dedication that they have taken to keep the character true, while taking the franchise into this century. I had heard the buzz in 2012 and then 2013 that Leonard Nimoy was going to do a Cameo in Into Darkness. Then I saw an interview where he didn’t confirm, nor deny, but he was very complimentary of the new direction that the newest movies had gone with the characters and realm of Star Trek. I thought, “What a truly classy guy.” Then as I was watching Into Darkness and Spock (Quinto) approaches whom he thinks is his father, I couldn’t help but smile. What a fantastic thing to see such an iconic character and man grace the big screen again in such a memorable role. I would also like to salute Mr. Nimoy for his dedication to serving our country in the Army and thank him for his service. He, like many stars in Hollywood, enlisted when their beloved country needed them to, and then continued their life after their service without drawing attention to their time served. EVERY veteran deserves recognition and appreciation from our country for their time served. Growing up, Star Trek: The Original Series was a staple in my family’s house. I remember being ten years old and begging my parents to stay up late so I could watch reruns at 11 p.m. Of course I would always fall asleep before it came on. My uncle would always greet me with – “Are you not of the Body?” – a line from his favorite episode, “The Return of the Archons.” Out of all the characters on the show, I wanted to be Mr. Spock, bastion of stoicism and cool logic, the one who would never (usually) let his emotions get the best of him, the one who would always stand calm and collected next to Bones as he inevitably would get caught up in a storm of anger and frustration. 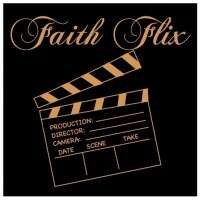 As most of our regular readers know, we look at movies from a Christian perspective. We don’t know Nimoy’s religious beliefs and it’s not our place to dissect that here. But, as with any passing of life comes the reminder that this life is too short. It is “like a vapor” (James 4:14). The words of Jesus are a good reminder for what this world has to offer and what we have to look forward to if we put our faith, hope and obedience in Him. “Let not your heart be troubled. You believe in God, believe also in me. In my Father’s house are many mansions. If it were not so, I would have told you. I go to prepare a place for you. And if I go to prepare a place for you, I will come again, and receive you into myself, that where I am, you may be also.” (John 14:1-3). From all of us here at LTBM we give our thoughts and prayers to Leonard’s family. We pray that they are comforted through this time of grief and suffering, and that through this trial they may draw near to God.